After what can only be described as a horrendous winter, summer has finally landed in the UK. Well, it was quite warm last week. So it must be almost that time when blokes walk through towns bare-chested to the local pub (this natural phenomenon happens when we hit 15 degrees Centigrade up north). More importantly though, it is time to check your road cycling wardrobe for your summer essentials. Here’s our top seven summer clothing essentials. The simple cycling cap is a design classic. Unchanged for years, the cap can easily be switched around to shelter the neck instead of provided shade to your face. Check out our full range of summer caps here. Cinelli Cotton Cap £13.99 Great choice of designs from Italian style guru’s Cinelli. Castelli AC Cap £22.00 Maximum ventilation from the Castelli collection. 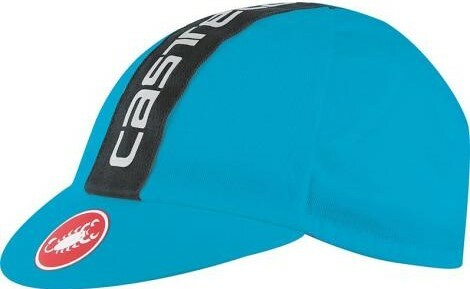 Castelli Geo Cap £19.00 classic style and colour choice from Castelli. It’s all about those tan lines! A short sleeve summer jersey is an essential piece of summer kit. Look for a longer (half or full) zip if you tend to overheat on long climbs. Make sure the cut of the jersey suits your build. Do you prefer tight & aero or a little more room? Check out our range of short sleeve jerseys here. Lusso Apollo Ladies Jersey £13.99Ladies specific jersey from UK manufacturer Lusso. Funkier Short Sleeve Jersey £16.00 Choice of colours and 50+ sun protection. Castelli Sky Short Sleeve Fan Jersey £29.99 Castelli’s replica kit for Sky fans – Great Value. 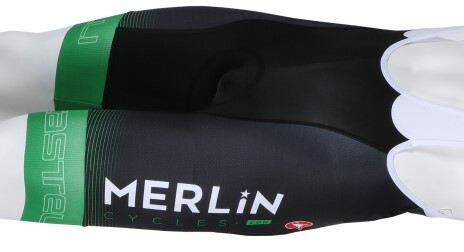 Merlin Team Castelli jersey £80.00 Castelli quality – Show your love of Merlin Cycles! Not just cool looking. Glasses stop random things from going into your eyes. Things such as stone chippings, flies and other insects can all cause damage to the most delicate part of your body – sunglasses are the first line of defence against them. Check out our range of glasses here. Spiuk Neymo £10.00 Feature a tough Grilamid frame, comes with a hard case. BBB Fullview £51.95 Open frameless design sorts glasses, available in a choice of colours. Oakley Radar EV Path Prizm £115.00 Unrivalled optics and cool looks. A good quality set of bib shorts will last for quite a while if they are well looked after. More expensive shorts usually feature a better seat pad, a nicer cut and better quality lycra. Check out our range of bib shorts here. Lusso Appollo Ladies Bib Shorts £19.99 9 Panel, ladies specific shorts, UV50 Protection. Lusso Aero 50 Bib shorts £40.00 made from 200 gram Italian fabric and coolmesh bibs. Castelli Volo Merlin Team Shorts £90.00 Top quality, great design team shorts. Mitts are another functional piece of clothing which are a summer essential. Yes, you can go mitt free, but if you fall you will be picking bits of road from your palms for weeks. Mitts are great for absorbing road vibrations and soaking up sweat too. Check out our range of summer mitts here. Chiba Streamliner Eco-line mitts £14.40 Featuring a rubust palm pad and elastic fit closure. Castelli Dolcissima Ladies glove £29.00 Tough pad and breathable back, Castelli quality. Castelli Arenberg Gel Gloves £35.00 Gel pad – maximum protection, choice of colours. Cool summer socks can go a long way towards stopping hot feat. Coolmax and other specialist technical materials are designed to help keep tootsies fresh. Not all socks are the same! Check out our range of socks here. Castelli Rosso Corsa Socks £8.50 Mesh construction for cool feet, classic Italian style. 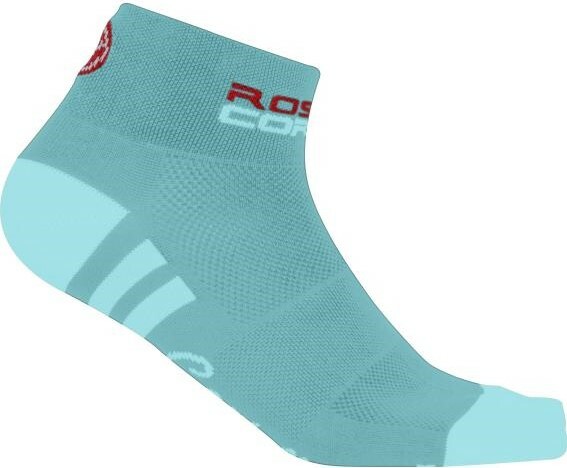 Castelli Vertice Womens Sock £14.00 Taller cuff for extra style, choice of colours. Enve Swiftwick Socks £24.00 high collar, great everyday riding or racing sock. Lets be realistic. Summer weather in the UK and several other parts of the world, can be a bit of a lottery. Taking a rolled up jacket / cape tucked into your back pocket or stuffed in a saddle bag can save the day should the dark clouds appear. Check out our range of jackets here. Funkier Kids Active Rain Jacket £35.99 Showerproof jacket with reflective zipper. Funkier Hydro Ultra Rain Jacket £67.49 Waterproof and windproof, ideal for UK summer! 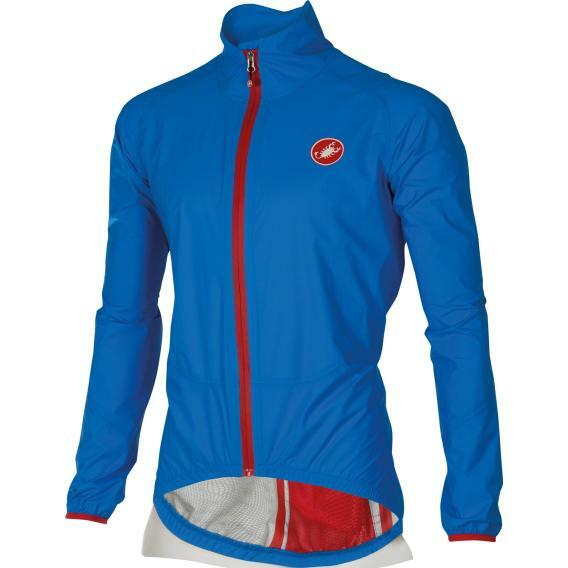 Castelli Emergency Rain Jacket £125.00 Waterproof & slightly stretchy fit, choice of colours. 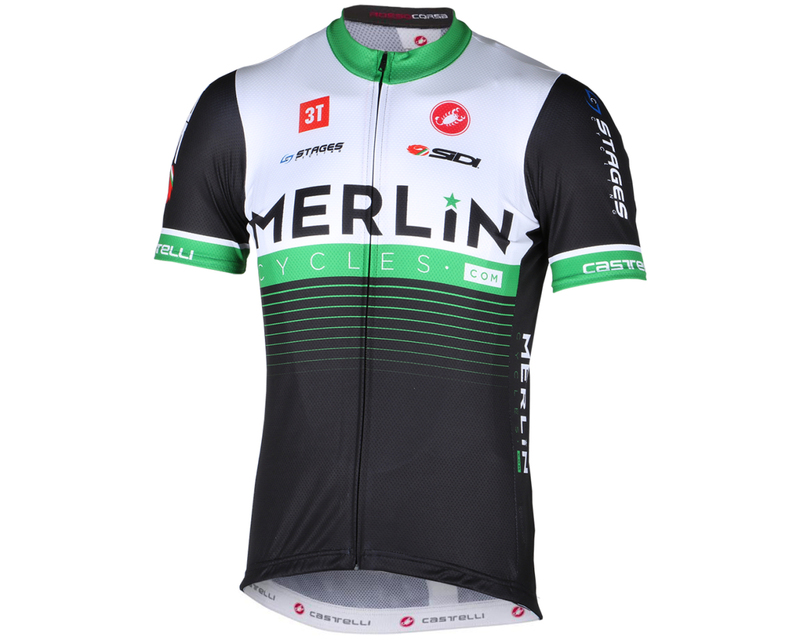 2018 Merlin Team clothing is made by prestigious Italian clothing manufacturer, Castelli. If you love the look of team clothing but don’t want to look like too much of a big-team-fan, the Merlin Team kit is for you! Exclusive and rare without looking too much like a ‘wannabee’ – Check out the full kit here. Merlin Team rider, Dan Patten. 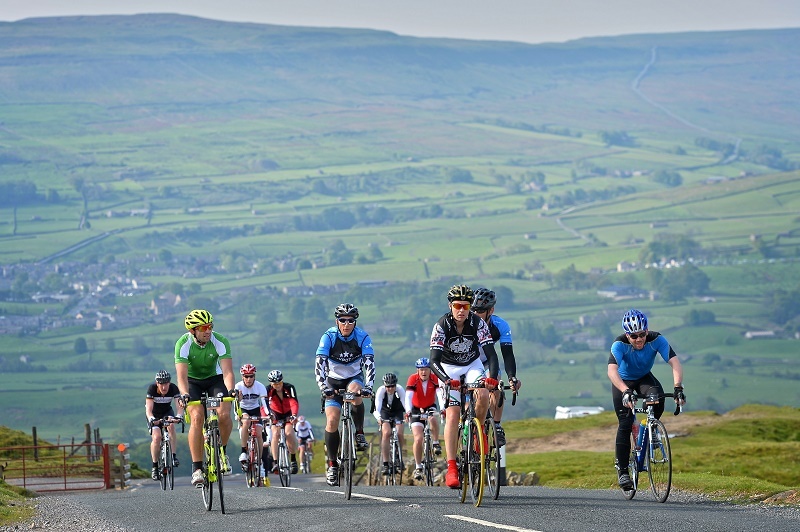 11 Tips for a Long Summer Ride- Scorchio! Tagged road cycling, summer cycling, summer mtb. Bookmark the permalink.